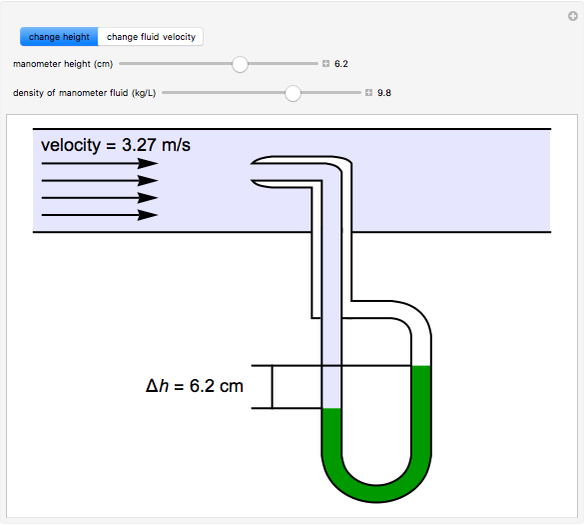 A pitot tube is used to determine the velocity of a fluid flowing through a pipe by measuring the difference in pressure between two points in the pipe. 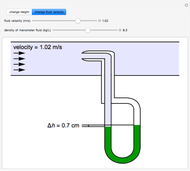 Bernoulli's equation is then used to determine fluid velocity. 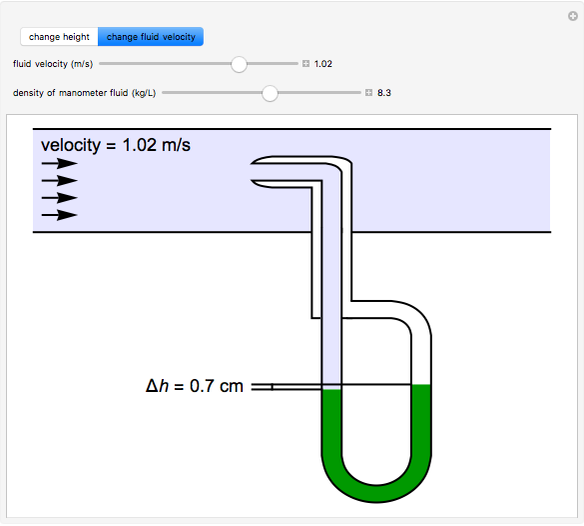 In this Demonstration, you can vary either the manometer fluid height (green) or the velocity of the fluid in the pipe (blue) to see how these two variables are related. Use a slider to vary the density of the fluid in the manometer. 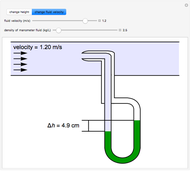 The intensity of the color of the manometer fluid changes with density. 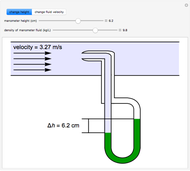 Here is the static pressure of fluid in the pipe, and are the densities of the fluid in the pipe and manometer fluid, is specific gravity of fluid in the pipe, is the gravitational constant and is the difference in height of the manometer fluid. Jon Barbieri and Rachael L. Baumann "Measuring Flow Rates with a Pitot Tube"